Seriously. This is the best way to ‘trick’ one that does not eat beans, carrot, celery, and mushrooms. For one who does not like oats, or has to take oats for his/ her purpose, yet would wish to explore a new way to take the oats other than making the viral-recipe, Overnight Oats, this is a great food for ya. 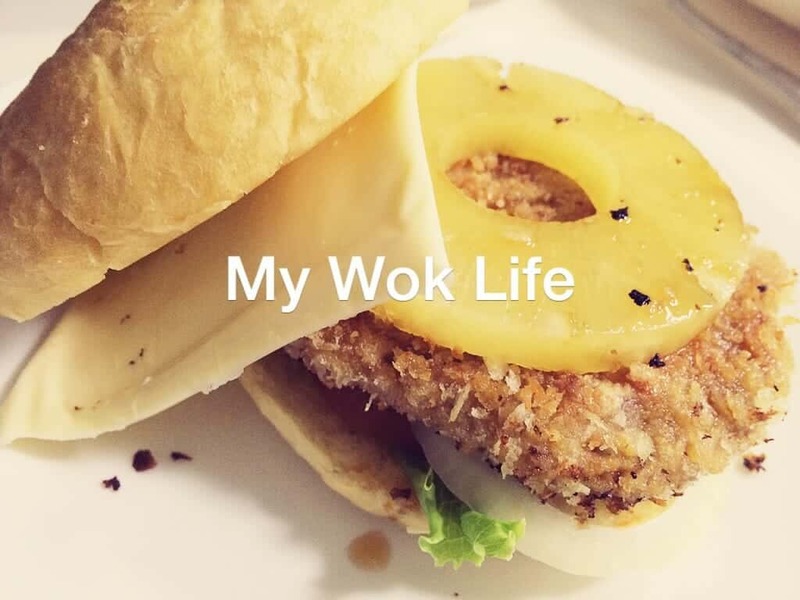 For the non-initiated, I was referring to our vegetarian Western burger meal with my veggie patty and pineapple teriyaki sauce posted up on my FB wall last evening. Yes, you are right. The veggie patty made consists of all the above mentioned, and more..
Well, it might look complicated to make, but it wasn’t. Just need to gather quite a number of ingredients, but most of the ingredients are easily available at the major supermarkets. Oat, is one of the main stars, in order to create a ‘meaty’ effect in your vegetarian patty. And, don’t worried as you would unlikely to taste it prominently. For breastfeeding mums, this veggie burger would likely help you to yield more supply. (1) To make veggie patty: Place Ingredients (A) into blender to coarsely blend. Add 1 egg as well, if opted. Remember do not blend too fine, but leave them with some texture in it. (2) Transfer out from blender to a large bowl, add rolled oats, 2 tablespoons of corn starch, breadcrumbs and all the seasonings listed in (C). Place the mixture in the refrigerator to set for at least 1 hour. (3) Remove from fridge. Scope a large spoonful of patty mixture and form into a round disc. Pat some corn starch on both sides. If using egg, coat a layer of beaten egg, followed by breadcrumbs on both sides. If not using egg, replace with water. Repeat step until all patties are done. (4) Let the patties rest for about 20 minutes. In a large pan, heat oil and sauté patties over medium fire, until both sides are browned and crisped. (5) To cook pineapple teriyaki sauce: In a small bowl, combine all listed condiments for sauce. Pour the condiments mixture in a heated saucepan over low heat. Let it simmer until sugar caramelized and sauce thickened. Transfer to a bowl and reserve for later. (6) When ready to serve: Slice burger buns into 2 layers each. Spread some butter on the inner sides of both layers of buns. Lightly toast the buns on pan. Remove from pan. (7) To assemble a burger: On the bottom bun, spread some mustard, if desired. Place a veggie patty, followed by a slice of cheese, tomato, lettuce, onion and pineapple ring. Drizzle some teriyaki sauce on the fillings (Or you may choose to dip the whole veggie patty in the teriyaki sauce before placing on the bun). Top it off with the top bun, and serve with fries, chips or salad. This burger meal counts about 380kcal. I did not specify exact amount of most of the ingredients as that would very much depends on your desire and liking. Adjust the amount to suit your taste e.g. If you do not like to have strong mushroom flavor, put the least amount of Shiitake mushroom. If you like smoother and softer patty, add more chickpeas, etc. However, try not to omit any of these ingredients to retain the original recipe I made. Tips: Get the chick peas and kidney beans readily canned from supermarket. You might also find cooked chick peas in some Indian food stalls in food courts. Alternatively, get the dried ones from dried goods shelves and boil them until softened. * May use quick-cook or normal rolled oats, but I am yet to try instant rolled oats as I worried it might be too soft and less textured for making patty. But who knows, it may also taste just better, I will try one day! * Italian mixed herbs in bottle is available in the supermarkets, too. You may also add just the freshly chopped rosemary and thymes as well as some fresh lemon rinds, instead of the dried mixed herbs. * Egg is optional, if you are pure vegetarian. 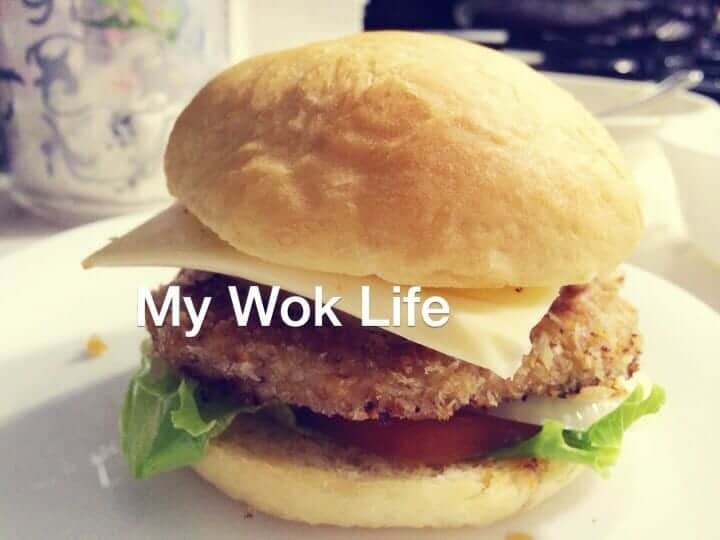 The addition of egg helps to stick the patty more easily and it creates more aromatic flavor, but it’s ok if you do not take egg for vegetarian. I did not add any egg the first time I made this. Simply add 1 more teaspoon of corn starch, if necessary. * In any case, if you blend your ingredient to finely and soft, let it set in the freezer after the step of coating breadcrumbs on the patties (before cooking). * For the burger fillings, you may choose to put the pickles you liked to go along with your burger though. 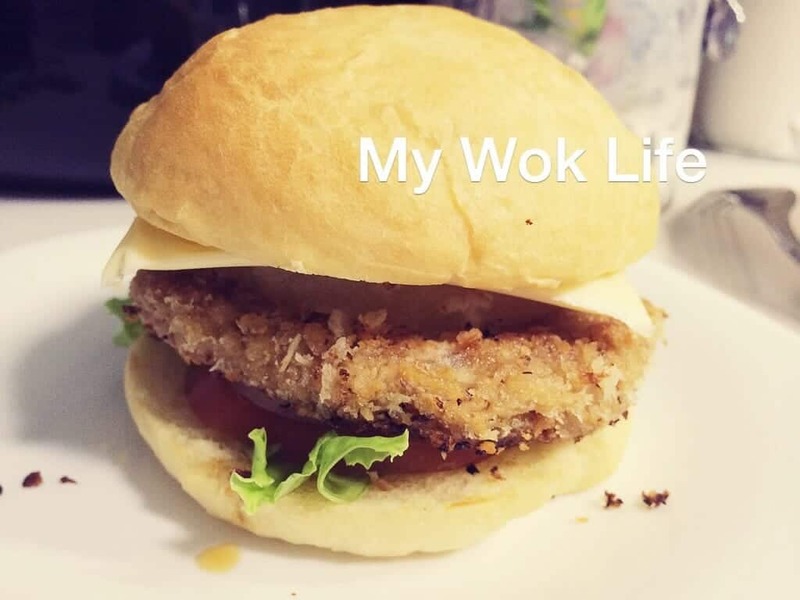 * I would not put any chili sauce or ketchup until I tasted the burger first. Hi, if I were to store them in freezer, do I pan fried the parties for storage or just store the patties without pan frying? Thanks for this vegetarian burger recipe. Hi, don’t cook it yet. Freeze the raw patties. Hi, i just made this patties. Have u tried air fryinf them? Or baking? Thanks for this vegetarian burger recipe. Not yet but I am sure it can be done. Use the non stick grill pan in air fryer instead of the wire mesh basket though. To prevent sticking for more perfect result..
As for baking, not sure though. Did not try.